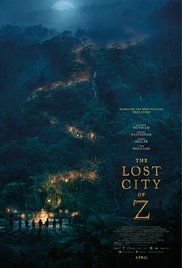 In Ireland in 1905, Percy Fawcett is a young British officer participating in an elk hunt on an Irish baronial estate for the benefit of the visiting Archduke Franz Ferdinand of Austria. A skilled horseman and marksman, he brings down the elk swiftly but is snubbed at the after-hunt party. A year later, Fawcett is sent to London to meet with officials of the Royal Geographical Society. The governments of Bolivia and Brazil are nearly at war over the location of their mutual boundary, and have asked the British government to survey it. Fawcett agrees to lead the survey party to restore his family's good name. On the ship to Brazil, Fawcett meets Corporal Henry Costin, who has knowledge of the Amazon rainforest. At a large rubber plantation in the jungle owned by the Portuguese nobleman Baron de Gondoriz, the two meet Corporal Arthur Manley, who tells them that the British government advises against further exploration. Fawcett, with several guides and the Amazonian scout Tadjui, complete the mission. Tadjui tells Fawcett stories about a city in the jungle covered in gold and full of people. Fawcett dismisses such stories as insane ravings, but discovers highly advanced broken pottery and some small stone statues in the jungle that convince him Tadjui's story was true. Read more on Wikipedia.